Given the number of articles about how people are not preparing for retirement sufficiently, I was wondering if you might do an article on SEP IRAs, and how self-employed people (who cannot rely on corporate pensions) might put away more than the $5,500 allowed per regular IRAs. According to the US Bureau of labor statistics about 1 in 9 workers was self-employed (in 2009). Self-employed people have the advantage of controlling their own schedule and creating their own path. What they lack is the employer sponsored 401(k) with high contribution limits and an employer match. But business owners and independent contractors have another alternative for retirement saving, the SEP-IRA. With the end of the year approaching, along with retirement plan contribution deadlines, Gregg raises an important topic. Roth IRA’s (Individual Retirement Accounts) and Traditional IRA’s are well publicized and give individuals an opportunity to take charge of their financial future by contributing money into a tax advantaged account. 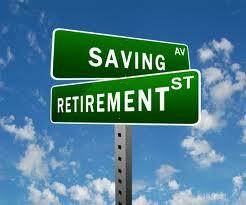 These are great retirement saving options but also have their drawbacks such as low contribution limits. The Simplified Employee Pension Plan (SEP IRA) offers retirement savings options for the small business owner, sole proprietor, partnership, or even a self-employed freelancer. The SEP IRA gives the small business owner an opportunity to boost retirement savings above the legal limit of $5,500 or $6,500 if you’re age 50 or older. This under publicized retirement plan gives eligible business owners a higher contribution opportunity for their money to grow tax-deferred. The employer also benefits with tax-deductible contributions to the SEP IRA. A SEP IRA allows an employer to contribute up to 25 percent (with a maximum contribution of $51,000 in 2013) of each eligible employee’s salary into a specially set up Traditional IRA for that employees future. The contributions are allowable even if you are the employer and employee! Since the SEP IRA is discretionary, the employer can choose to contribute one year without the obligation to contribute the next. What are the Employee’s Requirements? The employee, sole proprietor, or freelancer set’s up and individual SEP IRA account at an investment brokerage company. Any discount broker can help with the account set up. The SEP IRA is governed by the same rules as those for the Traditional IRA. Since the Traditional IRA requires minimum distributions starting at age 70 1/2, so does the SEP IRA. Just like with the traditional IRA, there’s a 10 percent penalty if the employee withdraws money from the SEP IRA before age 59 1/2, subject to certain exceptions. For example, the sole proprietor making $80,000 sets up a SEP IRA and is eligible to make a tax deductible contribution of 25 percent or $20,000. That’s much better than the $5,500 Roth IRA contribution allowed for an individual. If the SEP-IRA sounds like a good retirement investment for you, there’s more than enough information available. The IRS offers help choosing, establishing, and participating in a SEP IRA. The comprehensive and well regarded Investopedia Website defines a SEP IRA and details contribution and distribution guidelines. With the growth of entrepreneurs, solopreneurs, and freelancers, the opportunity to expand contributions for the future is an under appreciated opportunity for creating long term wealth. Have any of you considered a SEP IRA for your retirement savings? For the self-employed, this is a great option. It is unfortunate so few self-employed actually participate in this. I hope this gets as popular as 401ks. And if you are a small business owner, you probably should set this up for your employees – since there is no obligation to contribute every year (and for the tax deductions!). The SEP is a powerful investment vehicle for the self-employed and can also be an effective way to lower the effective tax rate for employers with family members who are also employees. Good info Barb. The SEP is a great vehicle for the self-employed that is easy to establish and maintain. In some cases self-employed folks might also consider a Solo 401(k) as it can allow for higher contributions in many instances. Retirement savings is real important for self employed people, but it is not the only source of income. You can usually sell your business and pay only capital gains taxes. It is another way to have retirement funds. @Moneycone-I agree that this versatile investment option deserves much more publicity. @Paul-Good tip, lots of companies employ family members in some way in their business. @Roger-Appreciate the info about a Solo 401(K). A lot of these accounts are less widely known. @Krantc-That’s true, although some businesses may not be sell-able. Excellent post, I wasn’t really aware of the SEP IRA which I’m going to be looking into in more details. Thanks for the gem of information Barbara, starting to really enjoy this site as I’m learning something useful nearly everyday! Thanks so much Barbara. Great, clear information and very helpful. @Shobir-I’m pleased that you are learning, it means a lot to me. @Gregg, Thank you for your excellent question, keep them coming, your inspiration for this article is appreciated. In my thinking, the SEP is a great vehicle for the self-employed that is easy to establish and maintain. It also is effective way to lower the effective tax rate for employers with family members who are also employees.your article vis very informative. I like the way you write. thank for a lot. Nice write-up on a valuable savings/retirement vehicle. There probably needs to be more awareness of this, as it’s an underrated option for many self-employed people. Contributing up to 25%, up to $51k, is something worth paying attention to!